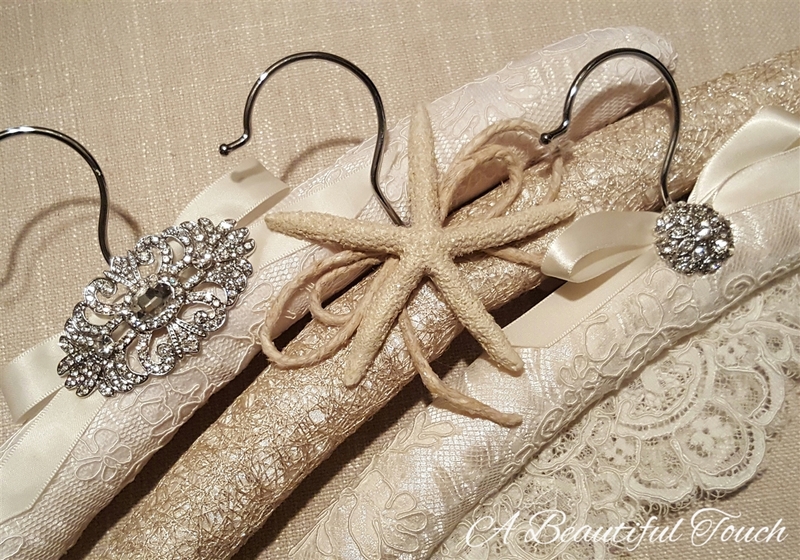 We have the most beautiful and unique collection of handmade hangers on the market. We meticulously craft them with the prettiest laces, fabrics, brooches, jewelry, embellishments and details. 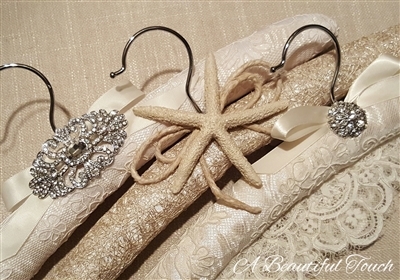 They are perfect to display a beautiful piece of fine Bridal lingerie or your dream Wedding gown. We can personalize them with a name in silver metal for a bit of whimsy and added keepsake value. We look forward to helping you select a special gift for the new Mrs!